Here is a section of artwork which was used on the front cover of 20th January 1931 edition of the Motor magazine. 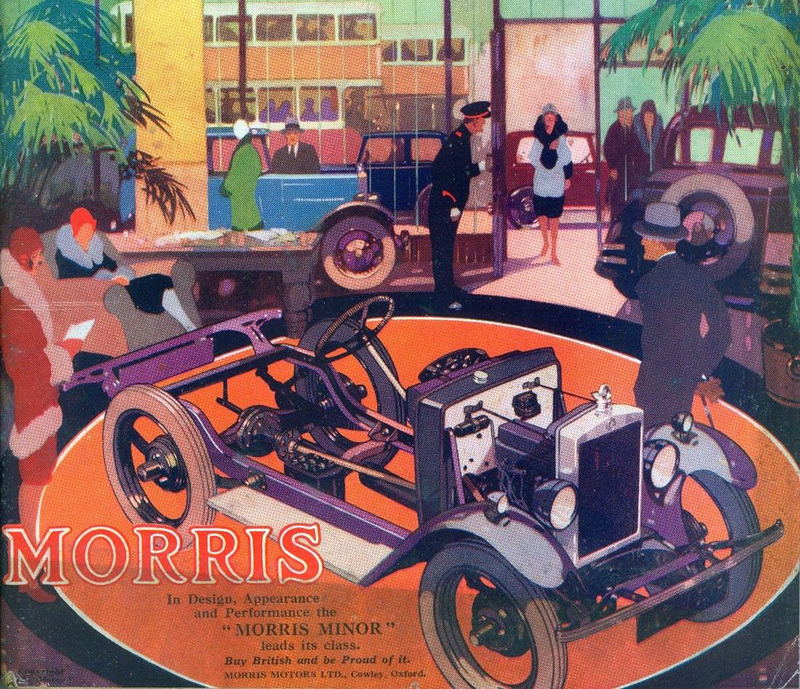 It depicts an OHC Minor chassis on a dais in a salubrious Morris dealership. Unfortunately, the artwork is unsigned.